Be amazed at this wooden workbench that is a major must-have for any mini DIYer. 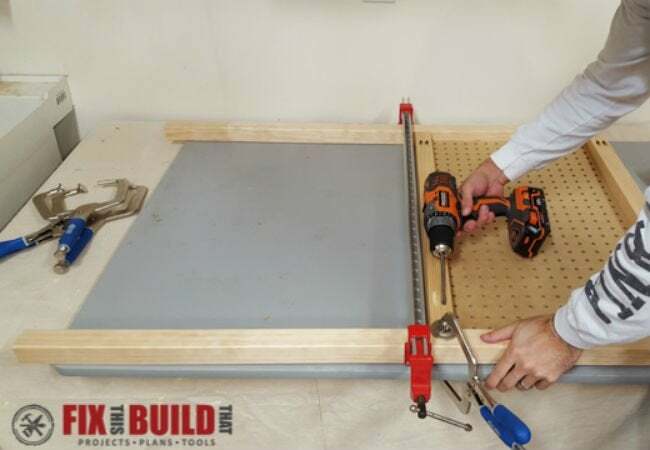 If you have a growing DIYer on your hands, then you have to see this workbench brought to you by Brad of Fix This Build That. 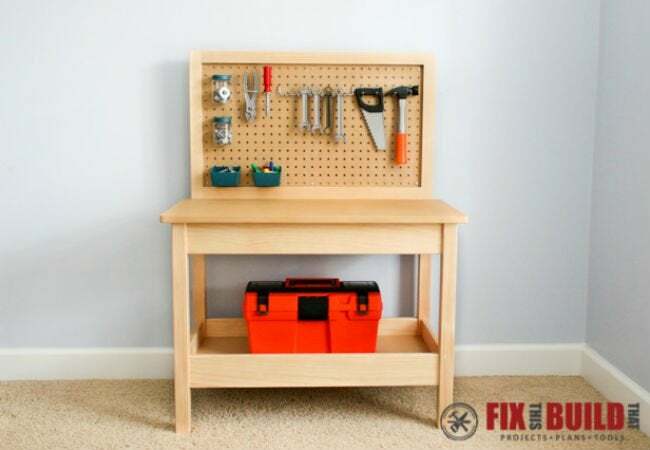 Complete with a shelf for holding extras and a pegboard for hammers, wrenches, and more, this wooden work of art is ideal for any youngster who likes to tinker with tools. Brad built the entire workbench out of standard 2x2s, 1×4’s, MDF, and pegboard, all available from the home center. The back legs and pegboard assembly are made from 2×2’s and are attached to the 2×2 front legs with 1×4 stretchers. The pieces are joined together with pocket hole screws for quick and easy assembly. He added an MDF shelf below the workbench to hold larger tools and boxes. A lip around the lower shelf keeps everything contained and prevents runaway tools. The workbench top is also made from MDF and has rounded edges to prevent injury. 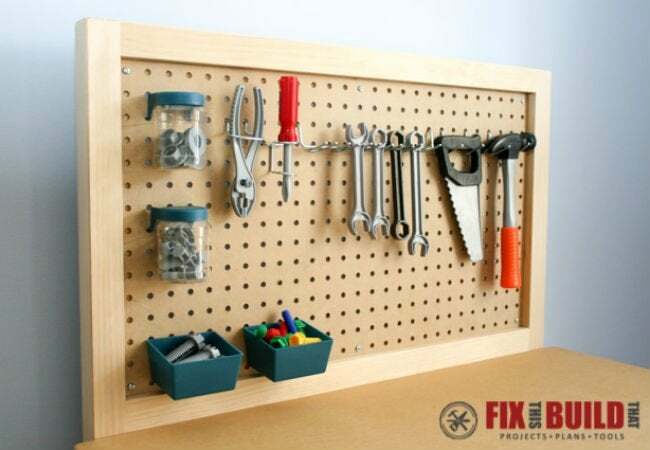 Brad loaded the workbench with pegboard accessories for a fun, kid-friendly finish. For the full step-by-step, or for more great woodworking plans, visit Fix This Build That.